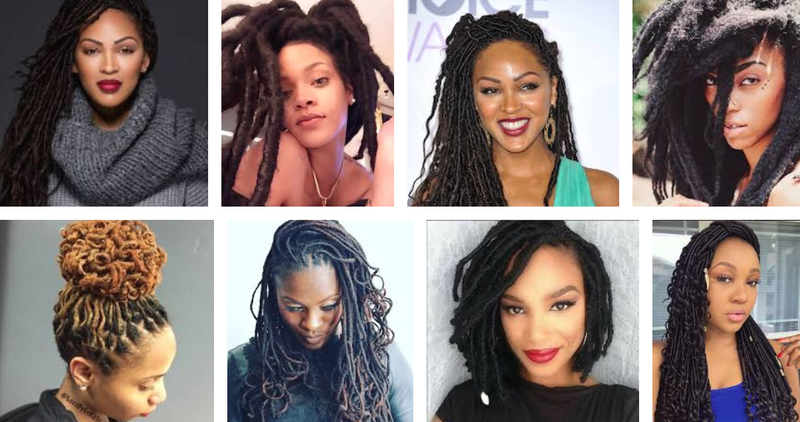 Are Locs With Relaxed Edges A New Trend? Had I not seen it with my own eyes, I wouldn’t think it true. 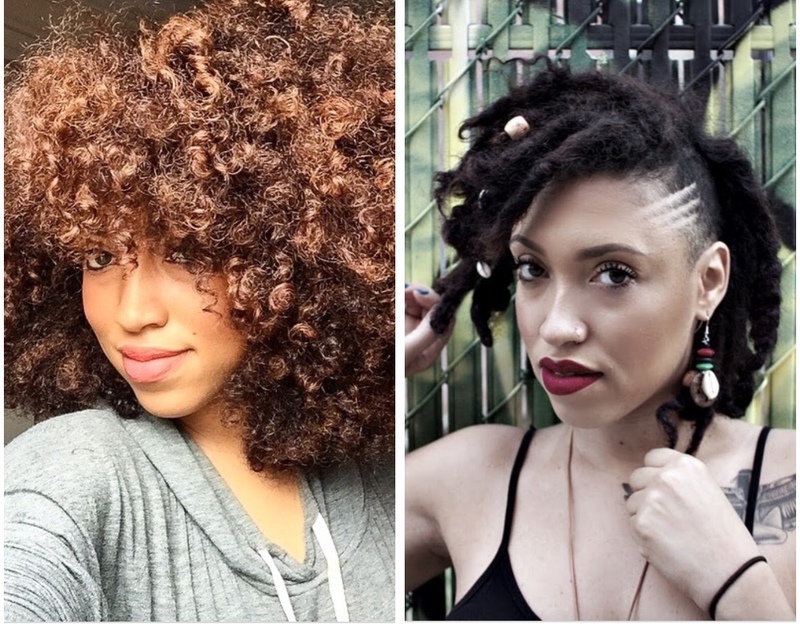 Relaxed edges with locs? And just in case you're wondering how I knew this woman's edges were relaxed, I know relaxed edges. When you grow up from a young age getting relaxers, then start doing your own from early teens till your mid-twenties, you know relaxed edges. 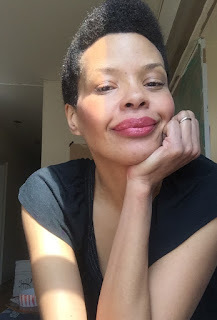 When you shave off your edges in high school with a razor because you over-processed them from too many kitchen relaxers, you know relaxed edges. Plus, this woman's 6-year-old daughter had relaxed hair, so it's not like she's anti-creamy crack. Maybe I'm being judgey, but this is a natural hair site, so safe to say that though women are free to make whatever hair choices they want, most of us are beyond putting relaxers in our daughter's hair, the burning scalp from the chemicals alone are enough to give one the chills...so I'm looking at this woman's locs, trying to figure out why she's relaxing her edges. But then again, I also find it odd that some women with natural hair are relaxing their edges, yet I'm seeing it more and more- with braids especially. So why not locs? Can’t they relax their edges too? I ponder the question. Of course, they can. But not everything that can be done is a good idea. Technically, #45 can be President. When I think of locs it just seems to go against the very nature of the hairstyle. I thought the idea was to embrace blackness. Picture Bob Marley rocking relaxed baby hair. I ask a friend his thoughts and he calls the woman in question a "fake Rasta." But then again, who says that black folks who wear locs are making a political statement? What if it's just a hairstyle? I wore locs for years and I wouldn't say that I was repping for blackness. I loved how it looked and it was an easy transition out of relaxers. I put in two-strand twist extensions and let my hair lock into the twist over a period of some months. Eventually, I cut out the twist and was left with only my own locs, which I loved. When you think about it, a lot of folks who wear locs never let their edges run free. One guy I know is in the salon every. single. week. getting. his. hair. retwisted because the Lenny Kravitz in his hay-day look is not what he's trying to emulate. Nor can everyone go for the free-form locs currently being worn by Auset Ntru aka Taren Guy, who stunned many of her natural hair followers when she ditched her signature curls for the free-form loc look. People have to go to work in professional environments, and realistically, for a lot of people who want locs, keeping it 'neat' is the only option. Who knows, for those who have really course hair, maybe relaxing or texlaxing their edges and even new growth is the only way to achieve a 'neat' loc look. Over all, I have no idea if relaxing edges for locs is a thing that's been going on for a while, a new trend, or something tried by a single individual. How does the saying go, when someone has an idea there are usually six other people with the same idea? Things don't often happen in a vacuum so my guess is that there are others doing the same. At the end of the day, who am I to judge? Update..I just spoke to a friend who has worn locs for the past 20 years and she says that she did consider relaxing her edges before. "The reason I didn't is because I felt it wouldn't be natural and I didn't want to mess them up by leaving the relaxer in too long?" Instead, she uses aloe vera gel when she wants her edges to lay down. But she sho' did ask me how they looked though. Do you have locs and do you relax your edges?